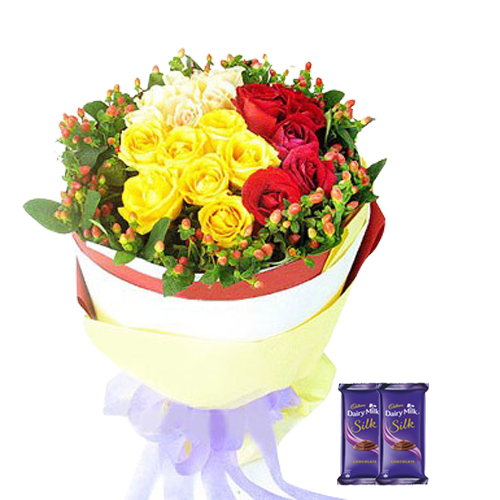 14 Colourful Roses along with 2 Dairy Milk Silk worth 60 Gms each - Having trouble picking just 1 color? Send this mixed bouquet and you won't have to choose. It's a stunning way to encapture a variety of vibrant colors that nature has to offer.